Look alluring in this sober looking abaya in Black-white color, a floor-sweeping gown with dramatic floral print in contrast Rust color on sleeves and abaya body. Modest round notched neckline with a more defined waist and comparatively, broad hemline gives the Islamic dress a streamlined outlook. Crafted in Nida Matt & Poly Crepe fabric with a slight sheen, this maxi dress is perfect for dressy occasions calling for an elegant, understated look. The abaya is tailored from wrinkle-free Nida Matt & Poly Crepe fabric. 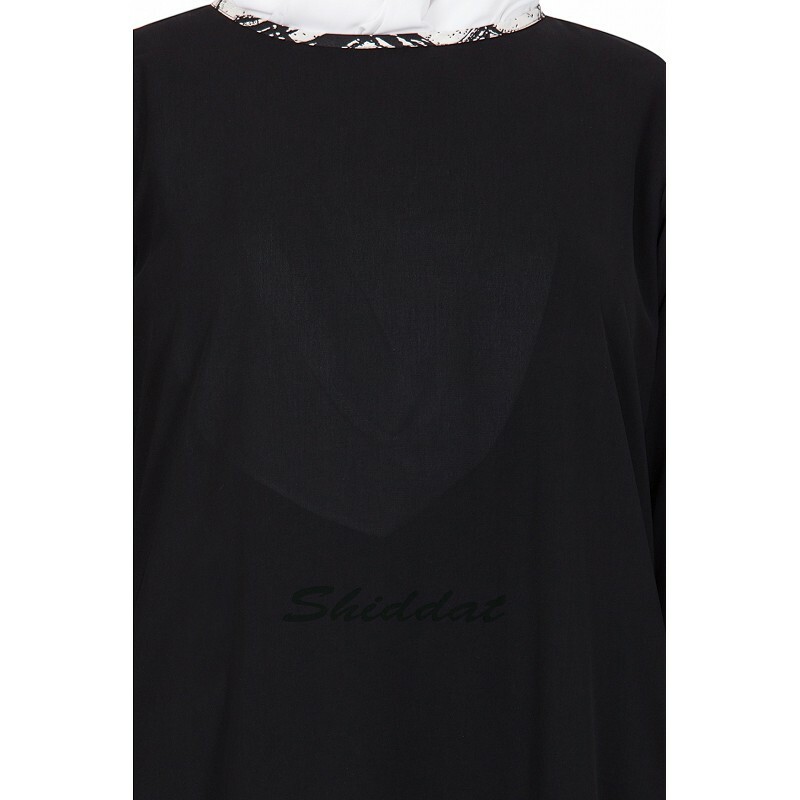 Package content-1 pieces [Abaya ]. The package will NOT include the accessories like a scarf or bag/ purse carried by the model. Disclaimer- The images represent actual product though the color of the image and product may slightly differ. Cash on delivery as well as online payment for this sober yet contemporary maxi dress abaya is available. Also free shipping to any part of India.